Working the UK MoD’s Defence Science and Technology Laboratory (DSTL), we were commissioned to develop an agile training assessment tool the was easily configurable for all types of exercises – joint collective, team and individual. The result was CUARATT, an intelligent personal assistant that delivers faster mission-readiness, deeper insights and lower training costs. It does this by analyzing real-time data, sharing its insights and adapting the exercise automatically or as instructed. Use for tactical or strategic training exercises. NO MORE PAPERWORK, GUESS WORK OR REMEMBERING – quantitative data is tracked by activity feed and timeline alongside qualitative observations and assessments from any number of observers & umpires. DEEP INSIGHTS – analyse activity data and compare performance across time, space and teams. Because CUARATT is powered by Conducttr, our multi-channel storytelling & gaming platform, exercise directors can create and control strategic exercises in live/virtual/constructive environments. 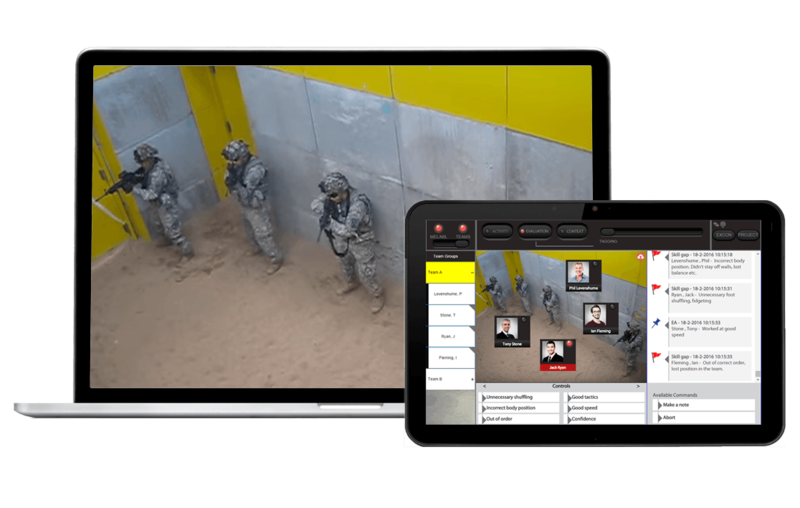 Simulate news events, social media, phone & radio calls to create truly immersive real-world environments that adapt to and affect synthetic environments for realistic blended exercises. Assess not only leadership decision-making but also ability to cope with stress by tracking wearable data against Conducttr’s simulated PESTLE conditions and results of actions taken.